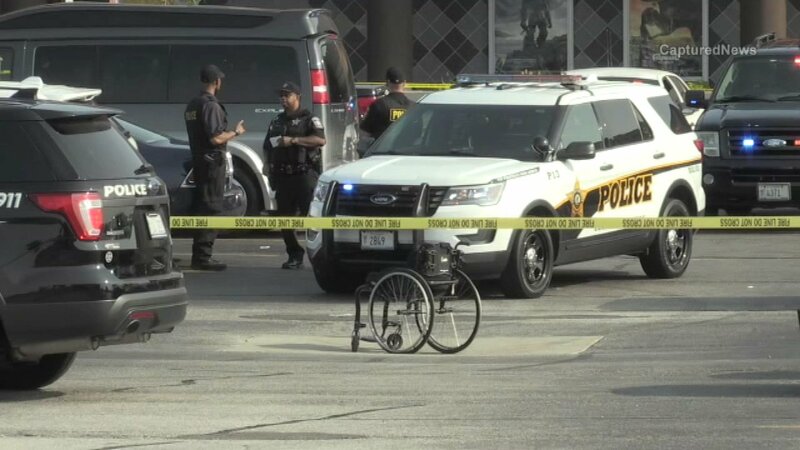 COUNTRY CLUB HILLS, Ill. -- A paralyzed man in a wheelchair was shot to death outside a movie theater Monday afternoon in south suburban Country Club Hills. Timothy Horace, 31, was getting out of a vehicle about 2:20 p.m. in the parking lot outside the Marcus Country Club Hills Cinema, 4201 W. 167th St., according to Country Club Hills police and the Cook County medical examiner's office. Horace, who was paralyzed, had just sat down in his wheelchair when an armed male came from between parked cars, pushed past his girlfriend and fired two or three shots at Horace, striking him in the chest and upper thigh, authorities said. Horace, who lived in Blue Island, was taken to Christ Medical Center in Oak Lawn, where he was pronounced dead at 5:16 p.m., authorities said. Officers chased a vehicle occupied by four people believed to be connected to the shooting, but lost the vehicle near 152nd Street in Harvey, police said.